Our smoke detector is an extortionist. 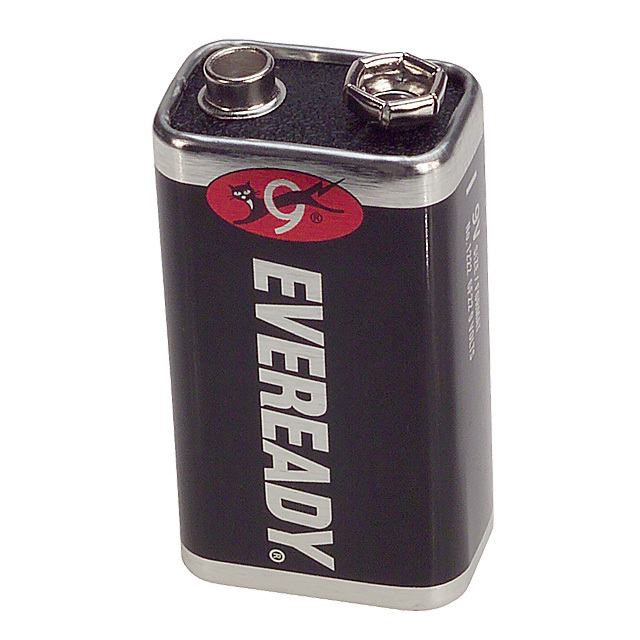 If I don’t give it a 9 volt battery every 6 months, it will chirp whenever it freakin’ feels like it. And even if I take out the old battery, It just keeps chirping because it has a mysterious power source from some place else. What the hay??? I’d investigate if it weren’t for the fact that a guy like me has no business tinkering with the house’s electrical system- especially while simultaneously disarming the smoke alarm. Whoever crafted this system is a safety genius. A 9 volt battery is the only thing on my mind. Dilemma: it’s midnight and we have a chirping smoke detector, but we don’t have any spare 9 volt batteries. Catch 22: If the chirp is keeping anyone else in the house up, I should offer them headphones. But if they are asleep, then I’m the jerk who woke them up to ask them if that annoying sound was driving them crazy. THE SNOWFLAKE DIDN’T OPEN! THE SNOWFLAKE DIDN’T OPEN! O.M.G. I can’t believe the snowflake didn’t open. It didn’t open! It was supposed to but it didn’t. I’m stunned. Im shocked. I’m speechless. My mind is both blank and abuzz. Four snowflakes turned into Olympic Rings. But one snowflake is still a snowflake!!! 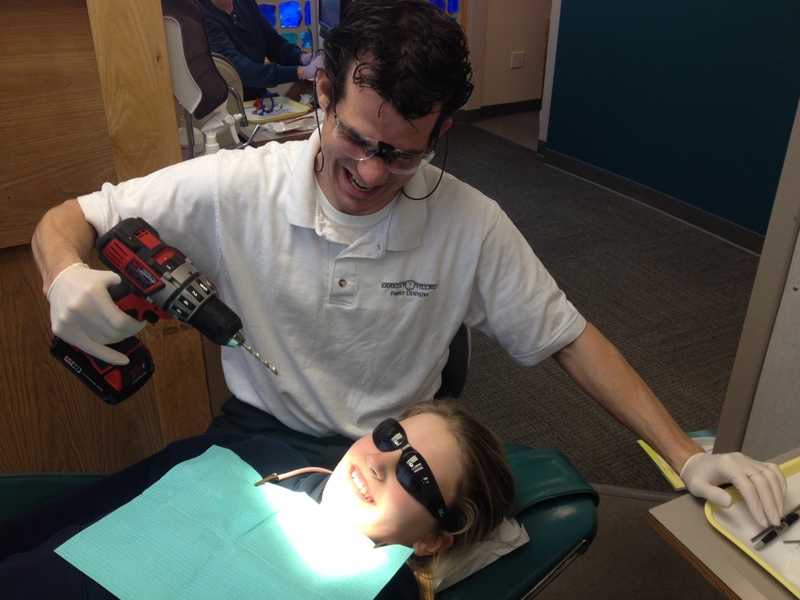 What time was the kids’ dentist appointment today? 2:30. Yeah! Tooth hurty! How awesome is that? The last time Seattle won a major sports national title, I was 9 years old. My dad had an apartment in Seattle, down by Greenlake, a tiny one bedroom place. I don’t really remember much of the game, or any of it, except for the very last second, when Gus Williams bent his knees like a funky ballerina and threw the ball straight up in the air. Woop woop! Gonna take it to the hoop! 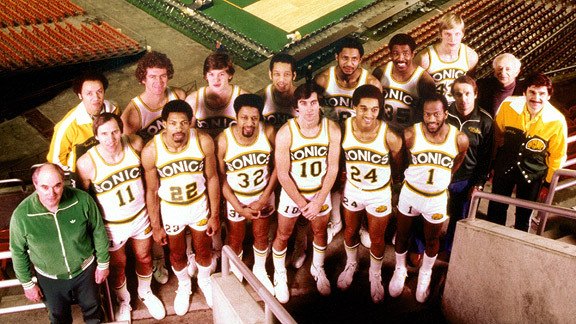 (That was a sonics commercial back in the day.) Sonics are world champions! So the game ended, and my dad turned off the tv and put a Doobie Brothers album on the record player while he got his shoes on. Then we walked down to Greenlake. Horns were honking like crazy. People were yelling out their windows. “NBA champs!” “Supersonics!” A guy passed us and told us the Sonics won, just in case we didn’t know what was happening. It was awesome. So cool to see everybody happy like that! To this day, I still love the Doobie Brothers, and it has everything to do with that day. That was 1979! Who would have guessed that we’d still be waiting for another? Nonetheless, here we are, 35 years later. BUT… this time, I’m the dad, and I have my very own 9 year old boy. Just a coincidence? I hope not! In any case, I’ve got my itunes ready to blast out some vintage 35 year old Doobie Brothers.